The Applied L-25 Mini Tower can provide support for lighting grids or light weight LED screens within the load limits of the tower. The modular all aluminum design allows for fast assembly and easy loading. The slide plate has the following standard truss bolt hole patterns; 12” Lite Duty Box, 12” Euro Box, 12” AP/HD Box and 14” Tri with Apex Up or Down. The tower can be modified with a motor mount and head block to incorporate an electric chain motor to replace the standard hand winch and cable. 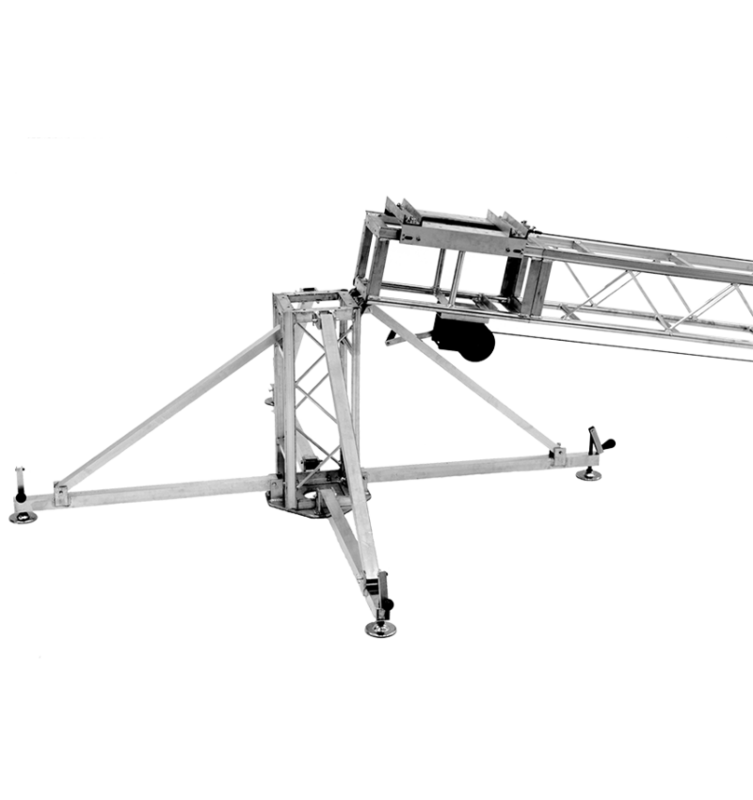 The L-25 Tower can be further customized with optional custom length tower sections. The use of a guy wire package is required outdoors.